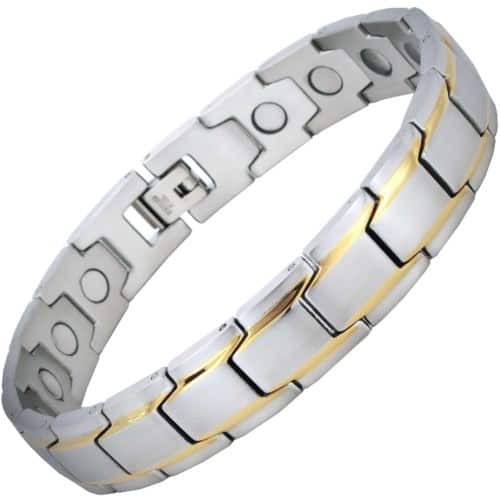 Luxury Two-Toned Mens Stainless Steel Magnetic Bracelet with Extra-Large Nd Magnets. Magnetic bracelets for arthritis in Dublin, Ireland. Great Selection!